The good news in 2014 is that market forces are alive, well, and working quite effectively to label GMO foods, or to remove them entirely from grocers' shelves. And instead, to pressure retailers to offer non-GMO foods for sale. The political process may have failed, thus far, to label or halt GMO foods, but public sentiment is firmly forcing manufacturers and retailers to begin taking bold steps. "... public opinion is reaching critical mass. Ninety-percent of Americans believe that GMOs are unsafe, 93 percent of Americans favor stringent federal GMO labeling regulations, and 57 percent say they would be less likely to buy products labeled as genetically modified." Target has quietly introduced its Simply Balanced "wellness" brand of foods to its grocery shelves, including the USDA-certified organic blue corn tortilla chips pictured above. The USDA-certified organic label means that all ingredients are non-GMO, as well as dozens other attributes. "The products include wholesome ingredients, and more than 40 percent of the assortment is organic. There are no products with hydrogenated or partially hydrogenated oils, high-fructose corn syrup, synthetic colors, artificial preservatives, artificial flavors or artificial sweeteners. "The good news doesn’t stop there: The majority of Simply Balanced items are made without genetically modified organisms (GMOs), and Target will eliminate all GMO ingredients from the line by the end of 2014. Target is also setting a goal to increase organic food offerings by 25 percent by end of fiscal year 2017." Cheerios, original only, have been altered to include only non-GMO ingredients. General Mills spokesman Mike Siemienas commented, "We switched from what we were using to non-GMO corn and non-GMO pure sugar cane... We do value our Cheerios fans and we do listen to their thoughts and suggestions." Siemienas noted that "did not change the formula and has never used genetically modified oats." Whole Foods recently announced that starting in 2014, Chobani Greek Yogurt will no longer be sold in its 370 stores because of "the yogurt maker’s use of milk from cows whose feed is derived from genetically engineered crops," per The New York Times. Chobani yogurt sales topped $1 billion in 2013. "We now have thousands of products within our stores verified as certified organic and/or Non-GMO Project Verified. 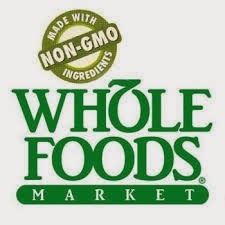 In fact, we sell 4,800 Non-GMO Project verified products, more than any other retailer in North America." Yes, the American political process has, so far, failed to allow the law to reflect public will on GMO foods. Industrial food corporations outspent California grassroots voters $55 million to $9 million to defeat Prop 37 in 2012, yet won by a paltry margin of 51 percent to 49 percent, and spent $22 million in Washington state for another razor-thin victory. But political prospects for GMO foods labeling are brighter in 2014 in state legislatures than ever before. Indeed, market forces are alive, well, and working quite effectively to label GMO foods, or to remove them entirely from grocers' shelves. These positive changes by major corporations newly offering non-GMO products and clearly labeling or dumping GMO foods are potent reminders of the power wielded by the purse of the American people. Power to the people! Thanks so muich, John. I read on the Modern Farmer website. Exciting, to say the least. Monsanto, etc, are making GMO crops prohibitively expensive for many farmers. I will likely cover this trend here in the near future. Americans want non-GMO foods but they want ObamaCare. Why can they not see this inherent contradiction?